Roars into microphone for maximum effect. 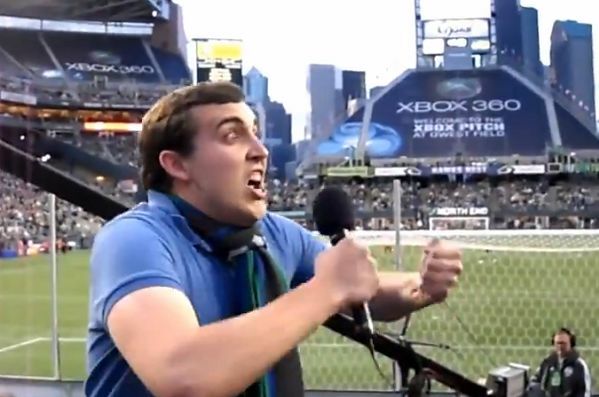 One Seattle Sounders fan revelled in the opportunity to lead a stand full of his fellow supporters in the club’s “fight and win” chant. Yelling into a microphone for maximum effect, he milks the attention of the crowd with a series of dramatic pauses and quietly approving nods in between call-and-response roars. The Sounders play in America’s Major League Soccer and count former Fulham and Tottenham Hotspur star Clint Dempsey among their ranks.